(CNS): There were just eight named storms and only six became hurricanes during what turned out to be a quiet season as predicted by experts in the Atlantic this year. 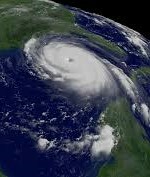 In May, the National Hurricane Centre had called for eight to 13 named storms, three to six hurricanes and one to two major hurricanes in its outlook for the season which turned out to be pretty accurate. But despite not even a warning in the Cayman Islands the quiet season still impacted Bermuda which had to weather two storms. Tropical Storm Fay and Hurricane Gonzalo hit the island within a seven day period demonstrating that even in the quietest of seasons there is no room for complacency. Given that the Eastern Pacific season endured its most active since 1992 it could just as easily be the other way round next year. Louis Uccellini, director of NOAA’s National Weather Service warned that it was not always going to be the case that the region would escape the stormy weather as he urged communities to refine their response plans in the down season. Scientists from the NHC explained why the season was so quiet in our region. Despite the low number of storms NOAA scientists said they were still able to use new tools that have the potential to improve hurricane track and intensity forecasts, this season. Among the highlights were both manned and unmanned aircraft missions in Atlantic hurricanes to collect data and evaluate forecast models. Thank YOU for saving us (Cayman Islands) from hurricanes this year. May we all realise Your mercies. Thank You for the mild season again this year. I pray for other regions that were hit by storms. Please help them through. May we be truly grateful in the good times and the bad. May we give a helping hand to others in needfrom disasters. Rather than this "God" helping the people harmed by storms why did thsi "God" not such stop the storms in the first place? Or are you playing the "mysterious ways" defence? So called experts and scientists are not God. This is God's doing. Hurrah for God. God has used his love to inflict natural disasters on other people this season. Seems to me the experts have a wide range to work with when making their predictions on storms and huricanes while still claiming accuracy. If the experts made predictions with a margin of error of plus or minus one storm or hurricane, then I would give them credit. This season they predicted 8 to 13 storms and there were 8, so they were lauded as being accurate. Had there been 13 storms, they would have also been accurate; that does not make sense to me. As far as I can tell, each season the storm and hurricane predictions are "crapshoots."